Xiaomi has launched their latest gaming smartphone Xiaomi Black Shark Helo in China.It is an updated version of its predecessor Black Shark phone which was launched early this year.The handset is design to game lovers which is equipped with advanced cooling system so that it can maintain maintain normal temperature even in long time gaming. The handset is equipped with two liquid cooling pipes which helps device to keep cool while hours of gaming.It can reduce up to 12 degree CPU core temperatures by using this technology which is a major updating over it's predecessor,according to company. The device has wife antenna at sides and features unique X style antenna design.I has shining RGB logo at back with AI game lighting.It is made with metal black shell and 3D glass with ridge gives 3D feel. Xiaomi Black Shark Helo specifications includes 6.01 inch AMOLED display with 2160×1080 pixel resolution at 18:9 aspect ration.Its display features 430 nte brightness,402 poi and 6000:1 contrast ratio.It dimensions are 160mm height,75.25 width and 8.7 mm thickness. 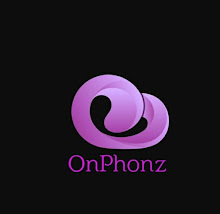 It is powered by 2.8GHz Snapdragon Octacore processor with Adreno 630 GPU.It has 6GB/8GB RAM variants with 128GB UFS 2.1 storage.The device has a premium version which packs 10GB RAM and 256GB UFS 2.1 storage.Its hardware is optimised with Android 8.1 Oreo based Joy UI and liquid cooling pipes. The gaming smartphone also equipped with dual camera modules at rear panel which includes 12MP primary camera with f/1.75 aperture,1.25 um pixels and it's secondary 20MP sensor features f/1.75 aperture and 1um pixel size.The cameras are aided with PDAF auto focus and dual tone LED flash.At front it has 20 MP single sensor with f/2.2 aperture and 1 um pixel size. 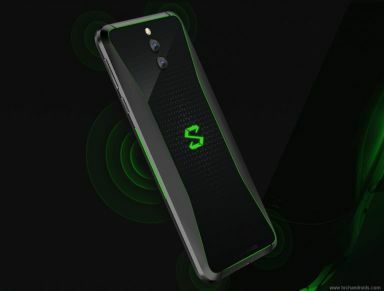 The Black Shark Hele smartphone is backed up with fast charging supported 4000 mah battery.It supports dual namin sim card with dual standby.Its finger print scanner is placed at rear panel.Connectivities includes Wifi 802.11 a/b/g/n,Wifi hotspot,Bluetooth,4G LTE,GPS/GLONASS,3.5mm audio jack and USB TypeC. The handset will be go on sale from October 30 in China.But it is already started it's ore order $415 for 6/128GB model and $505 for 8/128GB model.Its premium version 10/256 GB will cost up to $605 in China.Its global release not yet announced.